"Pa", Josh asked, as father and son trekked their daily trek, "If God is all good, all powerful, all knowing, and present everywhere, why doesn't He put an end to suffering? Why does He create misery in the first place?" "I suspect He is either not that kind, or does not know, or does not have the power to remedy, or is not present everywhere. Perhaps He doesn't even exist!" "Interesting observations," answered Rosh. "Let's see if we can try and address them one by one." "A man went to a barber's shop to get his hair cut and his beard trimmed." "Since these things take time, sometimes barbers strike up conversations with clients, or end up sharing spicy gossip while working on them." "This was especially common when there were no TVs or Radios or Tape or CD-players in saloons." "So, if you wanted the town or village to hear some gossip, you told it to your barber. He would do the rest, and before you knew it, it would become common knowledge around the place." "Anyway, this man and this barber talked about many things. Like you, at one point the barber said: 'I don't believe that God exists'." "Why do you say that?" asked his customer. "Well!" said the barber. "You just have to go out in the street to realize that God doesn't exist." "If God really existed, would there be so many sick people? Would there be children abandoned straight after they are born, or children born with deformities? Would there be War?" "If God really existed, there would be neither suffering nor pain. I can't imagine a loving, caring God, who could ever allow any of these things. Yet, we see all of these things in life." "And so on he went, arguing with great conviction and good reason. The customer didn't respond to his arguments straightaway, because it is not safe to get someone excited or disturbed, when they've got a sharp razor on your neck." "Religion is a very sensitive subject at the best of times. People are quite touchy about it, so you've got to be really careful, lest they take your head off your shoulders in anger, or issue Fatwas against you." "What's a Fatwa?" Josh asked. "A fatwā was originally a legal opinion, or learned interpretation, that a qualified jurist or mufti could give on issues pertaining to the Islamic law," answered Rosh. "However, the word is now used loosely by non-Muslims, for any statements that advocate an extreme religious or political position, or as slang for any decrees, like the death sentence on Salman Rushdie, the author of The Satanic Verses, pronounced in 1989 by the Iranian Imam Ayatollah Ruhollah Khomeini." "Anyway, going back to our story, when the barber had finished grooming his client, the customer paid him and stepped out of the shop. He saw a man in the street with long, stringy hair and an untrimmed beard. He looked really dirty and unkempt." "The customer was reminded immediately of the barber's comments. 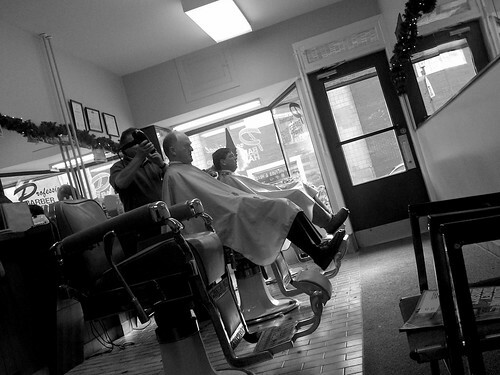 Turning back, he stepped inside the barber shop again." "No, I haven't forgotten!" the customer responded. "But, barbers still don't exist. Because if they did, there would be no people with dirty long hair, and untrimmed beards, like that man outside on the street." "Ah!" the barber caught his drift. "But barbers DO exist! What can I do, if the people don't come to me?" "So it is with God!" said the customer, as he walked out of the shop. "So, God too, DOES exist!" responded Josh. "It is the people who don't go to Him, or do not look for Him. Is that why there is so much pain and suffering in the world?" "I can tell you the stories," said Rosh. "What you choose to believe, or not to believe, is up to you."